As is tradition, the period right before BlizzCon is rife with hopes, dreams, and speculation about what Diablo news will be revealed at this year's show. Every single bit of media from Blizzard is being heavily scrutinized in search of hints regarding what might be announced, but the truth is right now all we have to go on is chiefly rumors and speculation. That being said, I've made a list of Diablo related announcements that could pop up at BlizzCon 2018, as well as my thoughts on how likely they are to happen. Rumors have been circulating for a while now about a potential deal with Netflix to produce a series based within the world of Diablo. The lore nerd within me would love a follow up series based around Wrath that would help flesh out the history of Sanctuary, the High Heavens, and Burning Hells. But how likely is it? We saw just a few weeks ago that apparently the rumors are true and that Blizzard is actively in talks with industry professionals to explore a potential Diablo series. We can look back at 2006 when Universal and Blizzard announced the Warcraft movie, but didn't discuss any details until BlizzCon 2007, where they featured a single piece of concept art. This lends a tiny bit of precedent in that if Blizzard is comfortable with moving forward on a deal with Netflix, BlizzCon would be the perfect time to announce it. On the other hand, if we're looking to the Warcraft movie as an example, the initial press release for the film was made jointly with the studio. Trying to line that up with BlizzCon may be harder than we give credit to. I'm not going to hold my breath on this one. This rumor started a few years ago and continues to be brought up as a joke response in threads speculating on what shape the future of the franchise will take. But does it have any basis? Despite the persistence of this rumor, there has been no evidence to support it at all. 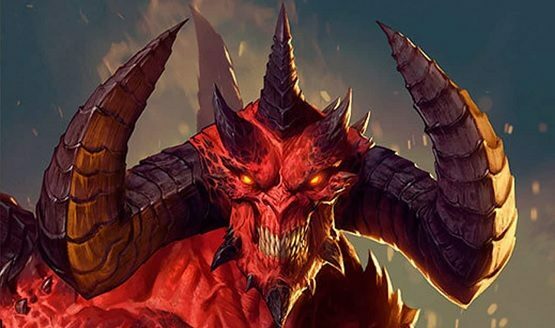 No credible rumors or leaks have ever been seen about it, and scrutiny over the multitude of Unannounced Diablo Project postings also haven't lent themselves to suggest any kind of mobile project in the works. While I'd be presently surprised by a mobile game set within Sanctuary, I don't see this happening in 2018. There have been rumors that earlier this year the primary responsibilities for Diablo III were handed from Team 3 over to Classic Games. With the press tours of the Switch port being headed by Pete Stilwell, Senior Producer of Classic Games, it lends a lit more evidence that this is true. What does this mean for the game itself? That means that Blizzard can have Team 3 focus on the Unannounced Project(s) while still providing a level of support for Diablo III. By the time BlizzCon rolls around, it'll have been over a year since the last the time the game received any meaningful updates (Patch 2.6.1), and it's likely time for some quality of life changes for the game. We've seen with Season 14 & 15 that Blizzard has been using some of the past community buffs, with the final ones to be reused simply being EXP increases or Legendary drop rate boosts. If Blizzard were to change it up and create something entirely new, Season 16 would be the perfect time for it and any announcements at BlizzCon would still give a little over a month for a PTR and testing before the proposed ending of Season 15 in December. I expect at least a roadmap of what Blizzard intends for the future of Diablo III and what we can expect in terms of continued patch support (or lack thereof). At a minimum I could see a minor patch with something new for Season 16, as a season of 2000% Legendary drop rates sounds like it'd be fun for a bit but get stale fast. Now this is where things begin to get interesting. There have been rumors of a Diablo remaster since before the announcement of the Starcraft remaster. Back towards the end of 2015, Blizzard started hiring for an Art Outsource Supervisor with the description of: "Classic games is seeking a skilled artist to help revitalize StarCraft, Warcraft III, Diablo II, and our catalogue of other classics." The community started to wonder if Blizzard was actively looking to bring back their some of their older titles. Last year's release of the Starcraft remastered edition was proof that they have been working towards this end. Now the question is, will Blizzard bring this treatment to Sanctuary? And if so, which title? 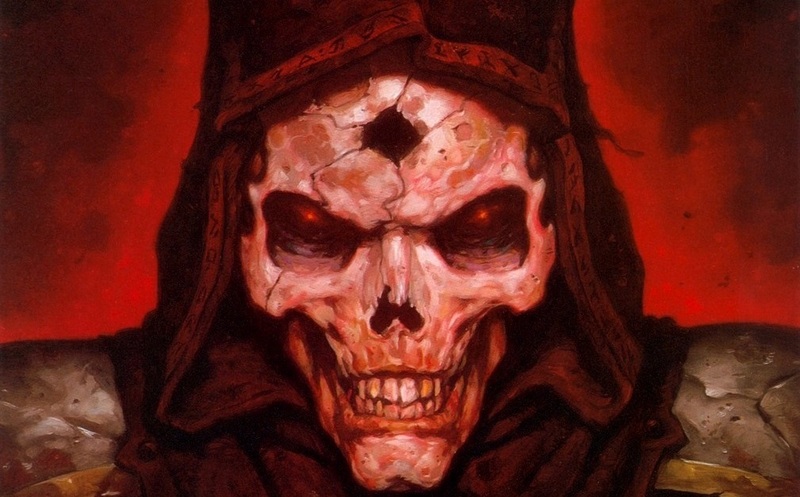 While most fans think of Diablo II when they think of "Diablo" as a whole, that one may be a bit trickery to pull off. We've heard from David Brevik, one of the original creators of Diablo, that the original source code for Diablo II is likely lost. That would nix any plans of remastering the title. This doesn't rule out a remake however, but it would require a lot more work to reverse engineer the game. To me, the more likely scenario will be a remake/remaster of the original Diablo. We've also seen a lot of Diablo I imagery in the BlizzCon goodie bag, the 'leaked' thumbnail of the Starcraft Vinyl Virtual Ticket video, and the BlizzCon 2018 Key Art featuring an old-school Diablo design. Also, if either title would have to be remade from the ground up, Diablo I would be the easier title to develop. Out of all of the possibilities for this year's announcements, I'm placing a remake or remaster of Diablo I or II as the most probable. Diablo IV is probably Blizzard's worst kept secret. While they haven't official announced what any of the multiple unannounced projects are, this has to be one of them. It's the secret no one talks about, but everyone just kind of knows anyways. The question is, will Blizzard officially announce it this year? And if so, will it mimic 2008's announcement of Diablo III and have a preview of gameplay, but no actual playable demo? Or will it follow suit with all of Blizzard's announcements since then and have a demo to coincide with the announcement? We had our first inkling Diablo IV was development back in Dec. 2015 when Blizzard posted their first job for an Unannounced Diablo Project. While it's been almost three years, we have to remember that development started for Diablo III back in 2001 immediately following the release of Lord of Destruction. I don't expect another 11 year development cycle, but Blizzard is likely to take their time with this title and try their best to not only live up to the expectations set by Diablo III but also live up to the nostalgia many in the community still hold for Diablo II. It's really hard to say with this one. I almost feel that just announcing that it's in development with no further information, a la WoW: Classic, would actually be beneficial for them, as it'll at least deliver on all the hype that has been building since the Future of Diablo video that was release this summer. At the same time, Blizzard has been burned in the past with Project Titan, Starcraft: Ghost, and, to an extent, the long development cycle of Diablo III as well. This is has caused them to be far more conservative with game announcements and I feel that might hold back Diablo IV's unveiling until "it's ready". I'll give this one a coin flip. We all know they're working on it, they know we know they're working on it, they know we really, really want it, but Blizzard does things their way and it might not always make sense to us. We won't have to wait much longer to learn what all Blizzard has in store. BlizzCon 2018 starts November 2.